Stewart Manor area summer soccer camps & spring, fall soccer clinics in Stewart Manor, NY are provided by USA. Stewart Manor area summer soccer camps and spring, fall & winter soccer classes are designed for all ability levels and players aged 3-18. USA's wide range of soccer camps and soccer class options combined with our dynamic professional staff ensures that you'll never need to look elsewhere for a soccer program again; with 14 different soccer camp types to choose from, we always have the perfect soccer camp to meet your child's soccer needs. For more information, or to register for soccer camps & classes in the Stewart Manor area please click on any of the summer camps or soccer classes below which represent our current Stewart Manor, NY soccer summer camp & spring / fall soccer class offerings. Traditional soccer camps offer a progressive range of camps for ages 2-19 years covering all abilities. Specialist camps give players an opportunity to focus on a specific area of their game. An introduction to soccer for 2-8 year olds. H.S. 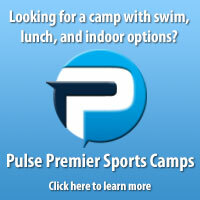 soccer team camps guarantee each player and team will receive an extensive pre-season program. Copyright © 2019 United Soccer Academy, Inc. All rights reserved. No part of this website may be reproduced without express written permission. Tax ID: 22-3612105. United Soccer Academy, Inc. is part of the USA Sport Group Family.